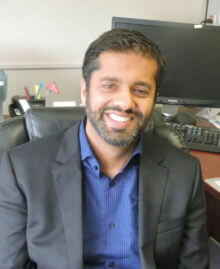 Waqqas Afif completed his medical school training at McGill University in 2003. He completed his residency training in internal medicine and his fellowship training in gastroenterology at McGill University. He went on to complete an additional advanced fellowship in IBD at Mayo Clinic in Rochester, MN. He returned to McGill to complete a M. Sc. (Epidemiology) and has been an Assistant Professor of Medicine in the Department of Gastroenterology since 2009. His research interests focus on the safety and efficacy of biologic medications and therapeutic drug monitoring in inflammatory bowel disease (IBD).